Some things are just predictable in the Vaucluse: Edouard Loubet will receive a third Michelin star, Pierre Cardin will restore edifices to their ancient glory, Michel Leeb will be wearing laceless Chucks, and Philippe Gimel will produce even better red wine. Le Pierre Noire distinguishes itself from L’Oligocène, touted in PVB last May, in that it is a blend of 85% Grenache and 15% Syrah whereas the latter blends 75% Grenache, 15% Syrah, 5% Carignan and 5% Cinsault. With a limited production — no more than 300 cases of Le Pierre Noire are expected to make their way to wine merchants’ shelves in the states — the price will be heady at $30 to $35 a pop. 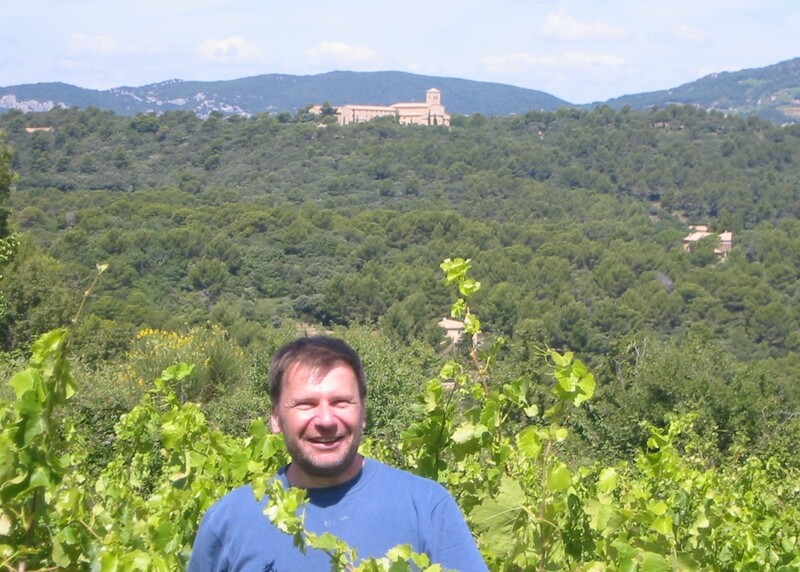 Looking to snap up Philippe’s fabulous 2004 and 2005 reds, click here. Philippe is launching a new brand strategy. In addition to Le Pierre Noire, there will be reds l’Argile (formerly L’Oligocène) and La Source, and his latest white blend will be La Montagne. Parenthetical note: Parker references the wine as a Cotes du Ventoux. The AOC changed its designation to the bland AOC Ventoux, a moniker that lacks the powerful imagery of the original. Philippe will be exhibiting his wines at the biannual Découvertes en Vallée du Rhône, a series of 15 wine fairs featuring over 700 wine producers including Châteauneuf-du-Pape, Gigondas, Vacqueyras, Beaumes de Venise and the Côtes du Rhône Villages. The Ventoux and the Luberon wine fair will be held on March 3 at the Salle des Fêtes in Sarrians near Carpentras from 9:00 a.m. to 6:00 p.m. Several other vineyards profiled in PVB will be participating: Château Val Joanis, Clos des Patris, Domaine du Tix , Les Vins d’Olivier B. as well as Saint Jean du Barroux. Restaurants in the Vaucluse featuring the wine of SJB: Le Phebus, Joucas; Chez Serge, Carpentras; La Table du Comtat, Séguret; La Prevoté, L’Isle sur la Sorgue; La Petite Cave, Saignon, and Les Remparts, Venasque. Découvertes en Vallée du Rhône: Click Here for Dates and Location of Various Wine Fairs from March 1st to March 6th. 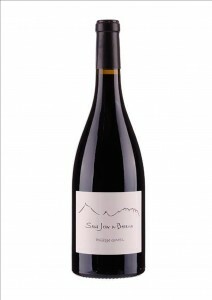 This entry was posted in Wine and tagged Cotes du Ventoux, Wine, Wine Fairs. Bookmark the permalink.